Air Conditioning Madison NJ:Once the province of only the rich minority, the use of AC has attracted a crowd of enthusiastic buyers, thanks to the affordable prices. Summers will never be hot again when you have an air conditioner at home to go to. Manufacturers are now producing units of air conditioner that comprises of a range of sizes from compact fit to luxury length. The features have also evolved over the years, and you can now indulge in climate-control, movement detection, automatic turn off and much more for a reasonable price. The air conditioning company, All Week Air Cond, is the right place to go to for a licensed and insured buy. 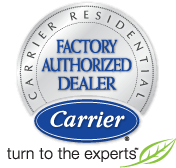 Air conditioning contractors help you select the right conditioner for your home. And they don’t stop there; they make sure that your AC is installed and operating right. They run you through the working of the air conditioner and make sure you are comfortable with its mechanism. Professionalism and customer satisfaction are the prime qualities of the All Week Air Cond. At All Week Air Cond, we have a dedicated air conditioning service that is ever-willing to attend to your request. We make air conditioner installations easy with our new and improved system. Without regular maintenance and AC repairs, your AC tends to slack of its efficiency, consuming excess power and eventually draining your pockets. You can also get in touch with us for air conditioner repairs and air conditioner replacements, and our expert team will be with you duly. In case of emergency AC repairs and emergency AC service, the All Week Air Cond will attend to your requirements, articulate what needs to be done and present to you a timetable and price for the service before starting work. With our air conditioning repairs services, you are guaranteed quality and perfection. Book with us today!